« Grand Slam For Zambia: Big News, New Prize! An “I Can’t Believe This” Note from Fatty: You’ve done it. $134,240 raised, as of this moment. You’ve raised enough to buy 1000 bikes for kids in Zambia. No, make that one thousand and one! Everyone, thank you! In addition to the most important thing — that 1001 kids’ lives are going to be changed for the better — this means that someone is going to join Johan, The Hammer, and me in Zambia. I planned for yesterday’s post to be the last one about the Grand Slam for Zambia project. Honestly, I did. I figured I had said everything I had to say about it. I’d made my case. I’d showcased the prizes. I’d said what I was going to say, said it, then said what I had said. And in short, I was finished. And then a couple of things changed. And now I find myself needing to post about some unexpected and extremely cool new twists in the Grand Slam for Zambia project. He is a cycling icon. He is smart, and interesting, and funny, and fabulously eccentric. He is the kind of guy you would just about kill to be able to spend an afternoon with, riding bikes around a really amazing city — you know, like San Francisco, California — talking as you visit his personal favorite restaurants and bars. Gary will show you his personal favorite bike shops in a bike-crazy town. He’ll take you by art galleries. You’ll get your shoes shined. You’ll learn about and see the bike advocacy happenings in San Francisco. And you will eat. Some more. And in general, you’ll spend the day with Gary Fisher, cycling legend, hanging out in his native habitat. 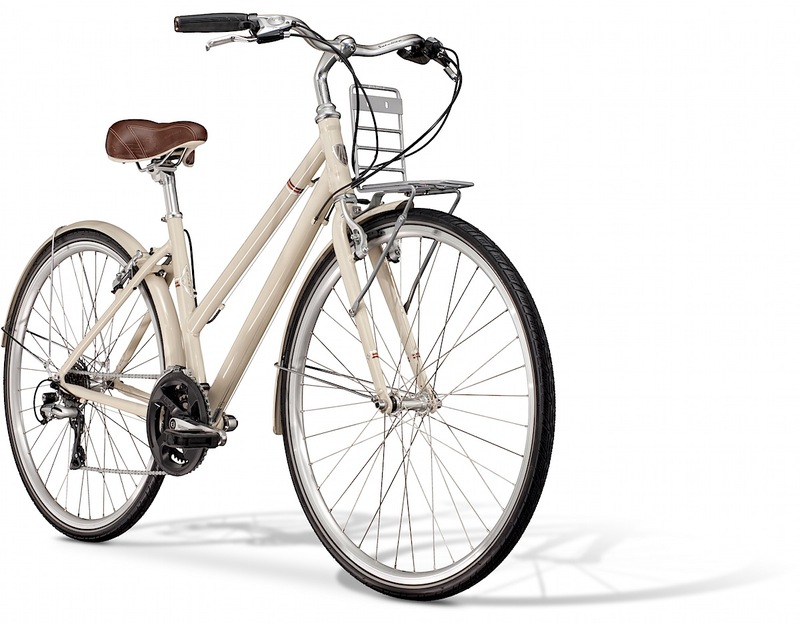 Whichever style you choose, it’s the Trek Allant, a stylish, practical commuter / townie bike. Could there be a more perfect bike for you to cruise SFC with Gary Fisher? I don’t think so. So, to sum up, we’ll fly you out to San Francisco (if you live outside the US, you’ll need to take care of getting to the US on your own; we don’t have unlimited budget here), put you up in a hotel, set up your bike, and then you and Gary will head out on the town. And I will beg you to please take lots of pictures and do a guest post on your day. Because I would really really really love to be the winner of this contest and wish I were eligible, but I kinda suspect that people might suspect foul play if it turns out that I did in fact win this contest. This prize will be given out if and when The Grand Slam for Zambia project has raised enough to buy 900 bikes. That’s $120,600, which is $9,435 more than we have raised at the moment I write this. To enter and get a chance at winning this or one of the many other prizes I mentioned yesterday, go to the Grand Slam for Zambia donation page and make a donation. For every $5 you donate, you get a chance at winning a prize. And if you donate enough to donate a whole bike for a kid in Zambia — $134 — you get an extra three chances. But the last day you have to donate is Sunday, August 28. So don’t put it off. Click here to learn the rules, and then click here to donate. As many of you know, Eva and I had the opportunity to go to Africa last year and it was truly a life altering experience. Fatty and The Hammer (as he affectionately calls his wife … Don’t know many men who call their wife “The Hammer”) are going to Africa as a thank you for all their leadership in spreading the World Bicycle Relief mission. And assuming we reach the 1,000 bike milestone / $134,000 by end of day Sunday, a lucky donor of the Grand Slam for Zambia will randomly be chosen to join Fatty and The Hammer on an all expenses paid trip to Africa. But as much as I’m excited for Fatty to experience first hand the great work he’s done, I also want to see for myself the progress being made in Zambia. So Fatty, if it’s ok with you – Eva and I will be joining you, The Hammer and a lucky donor (we hope) this Fall in Africa. We’ll be together for a little over a week, so I hope you have some good stories to entertain us all! Which means, if (when!) we hit that Thousand Bikes goal, whoever wins isn’t going to just spend several days in Africa with The Hammer and me, learning and helping and putting Grand Slam for Zambia stickers on bikes. You’ll also be spending those several days with Johan Bruyneel, the Sports Director over more Tour de France wins than pretty much anyone, ever. The guy Phil Liggett called arguably the best director of all time. And he’s also a really great guy. I’ve been lucky enough to spend a couple hours with Johan, and that was long enough to make me a fan. If you win the trip to Africa, you’ll be spending days with him. That should be interesting, don’t you think? I don’t know if you’ve noticed, but the Grand Slam for Zambia project has become a bit of a prize magnet. Honestly, I’ve lost count of how many prizes there are, and I’m incredibly glad it’s not my responsibility to do the drawings and contact the winners. WBR has agreed to take on that task. WBR will format a spreadsheet to have every donation on it, using my ‘magic spreadsheet of prizes’ template. They’ll contact that winner and ask which prize s/he wants from the available prizes. The winner chooses a prize, and that prize is scratched off the list. Repeat steps 2-4 ’til all the prizes are gone. As you might expect, this will take a while. Once it’s all nailed down, though, I’ll list the big prize winners and a little bit about them. Have I mentioned how glad I am that I get to be the guy who does the fun part of this contest, and that I don’t have to do the hard part? I think I may have mentioned that. Anyway, I think I may have also mentioned that this contest is almost over. If you want a chance at winning the trip to San Francisco to hang out with Gary Fisher, or the trip to Paris to see the Tour de France, or the trip to Africa to hang out with Johan and me and see what WBR is doing to improve the lives of kids there, or any of the many other prizes, you’ve got to do something: Donate. Specifically, I recommend you donate $134. By doing this, you have bought a bike. Which means you have changed a kids life, for the better, in a huge way. Which means, whether you get a prize or not, that you are a winner. Big time. I wish we(Wife#1 and I) had “unlimited” funds, we’d continue to donate. Maybe I’ll raid the kids piggy banks. Fatty. You’re leaving for France soon, will we get a ‘Bon Voyage’ post before you leave? And how ’bout one from Dr. Laura? I’ve been watching for her here in Marin, and I’ve seen her circuits on +3, and I can tell she’s ready….so ask her to tell us about it. Looking for coins in the couch now. Go Team!!! 2 bikes in from me. Holy bike shorts! This just keeps getting better! I just cancelled an online order for a new pair of MTB shorts and I’m going next to buy another bike for WBR. I predict Team Fatty is going to smash the goal to smithereens with days to spare. I’m using the chance of if I win anything out of this it will be the prize for the person on my team (Mamma Jamma ride) who gets the highest number of individual donors. How’s that for piggy-backing? I correct myself. The goal will be shattered TODAY. Have you seen that little red thermometer? You can practically watch it rise! I cant affor the $134 right now, but I gave what I could. You do good work Fatty. Kudos to you ! Another bike on its way. What an awesome force you are Team Fat Cyclist! 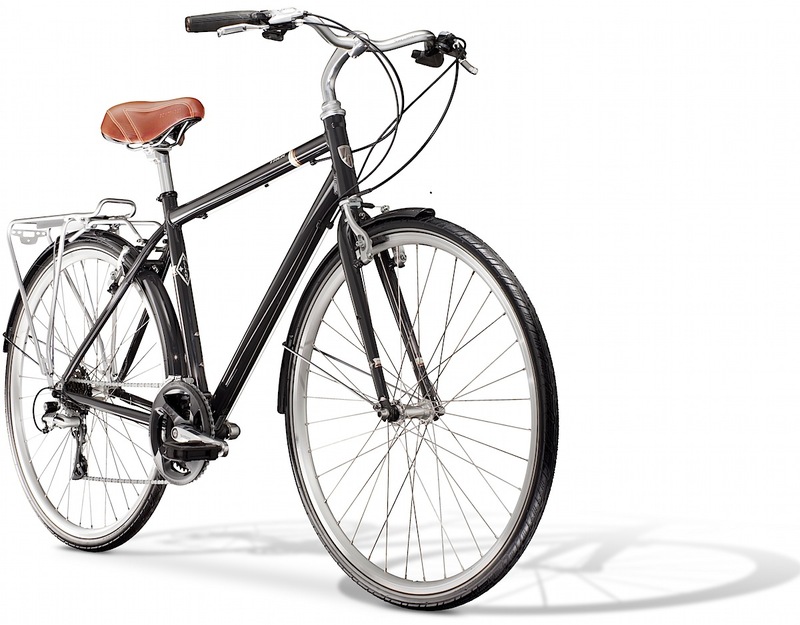 Just bought a bike, how cool is that? Love WBR! Tried to take the shirt off Francesco Moser’s back today after our ride but the WMCF director exercised ” His perogative “! Point is he is as wide as he is tall so he won’t be getting into it ! Now i will have to chase up Kaiser Jan on Sunday . Good luck to all that have contributed , you ALL deserve a prize , wonder if J.B. has arranged the “Tax Credits” for the Charity so that the Brits can claim back the tax paid on donations to ADD to the Pot ! Hopefully some ” Fat Cyclist Accountant ” can explain the way to do that ! Could amount to thousands ! I’m with Brandy (not much $ to spare) but I put in what I could…I’m continually amazed by the generosity of the Fatties…you all just blow my mind! I wish I could afford more, these prizes are off the charts! Gonna be a LOT of happy people when this one is done! (not to mention ONE THOUSAND incredibly happy kids in Zambia!!) Way to go everybody! So did we ever find out if employer “matching funds” were being added to the pot? Not to give donors extra chances at prizes (of course), but rather just counting toward the 1000 bikes/$134,000 goal? Surely the folks at WBR must have a sense by now of matches submitted? Or are we leaving them out of the picture and they’ll just be frosting on the cake? Which reminds me, need to mail them this 3rd matching form right now. I’ll send it priority mail. If nothing else, after all is said and done, it would be great to know how much in employer matches was processed in the end. Lots of folks have these programs at work but forget to use them. Knowing they made a significant difference can help encourage people to get those forms in! Go make your donations, already! I think the deadline is really August 27th and besides, we’re gonna hit the goal way before the weekend – because that’s what we do. n.b to Skippy – Enough. No,…more than enough, as a matter of fact. Write a freakin check. Then, stop the self-aggrandising obtuse nonsense posts on other’s blogs, this one in particular. heh, just saw Fatty’s count update… maybe I was 913?! My husband called this morning, from the other side of the country, headed to the emergency room. He just called from the ICU and said that when he gets back home, he is definitely going to start riding again. So I chipped in a bike for him. For the love of god, someone stop me from relentlessly F5-ing the donation page to watch the numbers just go up and up…. Hey Husband#1 DavidinMarin, I never saw BaconMan’s finished Appetite Ride video until today. Pretty good, though he needs an editor. 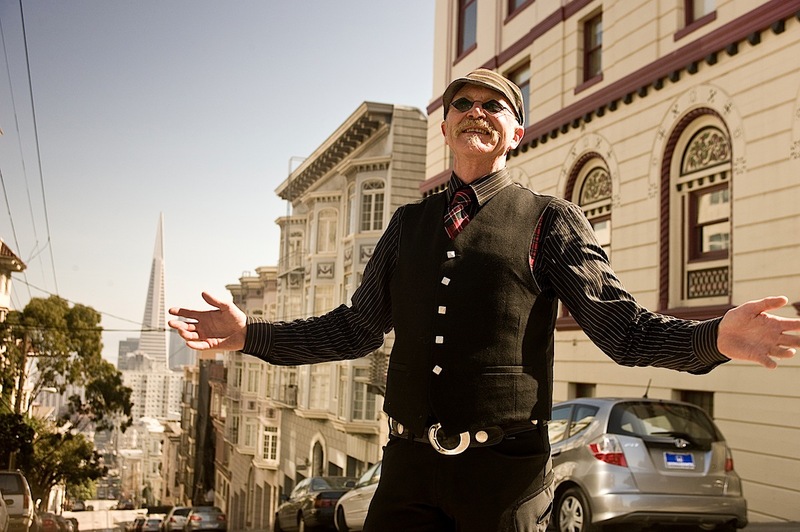 That’s a great shot of Gary Fisher in it (at around 3:40 for those who don’t want to watch the whole thing http://vimeo.com/8025966). You better start working the kids harder on their mountain rides now so they can come with you this year (and mommy can sleep in). It JUST crossed $124,000 (damn that F5)… less than $10k to go!!!! Hey Fatty! How ’bout chippin in a few bottles of French wine if you’re in the area and can pick some up. I’d probably find the funds for another bike for a chance at that. MattC toss in your wife’s recipe for those Macademia Nut Cookies, that would be a cool prize. Yannb and NYCarlos congrasts on fielding your own African teams. Looking forward to seeing you in October at the Gran Fondo. I had to donate another bike. Go Team Fatty!! We are going to rock this thing. Way to go DaveT!!! You’re a ‘cruel man’! Of course I had to look at your favorite charity, with both my dogs in the room. If I can find any money next month I’ll send it your way. Looks like were at 941 bikes!!! Wow just made it by the looks of things, one more bike. Team fatty rocks. Y’all are magic. It looks like we have this thing shot to bits. Bless you Fatty for all the good things you do, and bless all you Fatties for getting behind and supporting all those good things. Two more in my mother’s name…. she was always lucky and no one, but no one, cared more about kids in their whole life than my mother did. Now I need to get my saddle sold. Anywhere else here bi? As in rides bikes and horses? ;-) I’ll make you a sweet deal on a Sugar Creek custom trail saddle… call it the Stumpjumper of western saddles. LOL. Sorry to hear about your head. This is really awesome. Another awesomeness I came across this week. Bicycling Mag’s on-line had a article called, 7 Must Ride Gran Fondos. One was King Ridge, the one with the awesome couple in the center of the start group. They went a bit further by listing the Potential Ride Partners, Leipheimer, Patrick Dempsey, Elden Nelson(aka Fat Cyclist). I know 2 of 3 mentioned, so I ‘googled’ Patrick Dempsey. I must have missed his name in the start list for Leadville. Can’t believe they listed you 2nd fiddle to him and with a ‘aka’. DUH ! I’ve made my small donation for this great cause. Awesome effort. In for another 2 bikes. One more bike… Just have to keep up with awesome Team Fatty! @Scott R – Many blessings to your family and precious newborn. May you all be soon reunited home! Scott R, you’ve just broken my heart, I hope you’re son is off the vent soon. I’ve tried to donate $67 (1/2 bike) but something keeps going wrong, the web page doesn’t like my card details. Anyone else outside of the US have the same problem? One bike in from me. One step closer. One More only $128 Aussie dollars…. Less than 13 bikes to go to hit the goal. Woot! 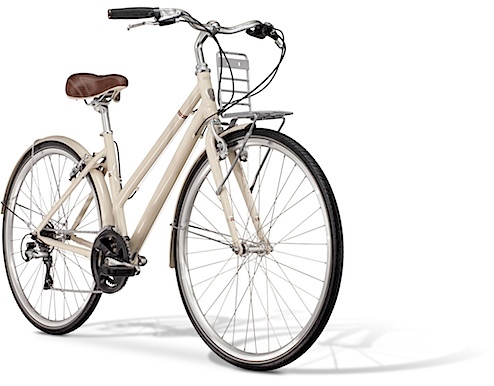 Bought a bike and see there is only $878 to go. Great job everyone. Cyclists are the best. Just checked we reached our goal. Way to go Team Fatty! team fatty is the best team of all time. We rock! You all rock! What a delight, to be in your company. More than 1000 lives changed. . . Thank you Johan, Fatty, friends, awesome donors of the prizes, all you finest world citizens who care about this big ole’ goofy world in the ways that matter. @Patrick#4091 call your bank to let them know you are making a purchase outside of your country. For the U.S. folks I fouind out the hard way you had to do that on a business trip to Canada of all places. My card was denied, I called the bank, they told I needed to call them before I make any transaction outside the U.S. I do that for all trips outside the U.S. now to avoid what you are going through. Had a pair of solid gold earrings from the ex fiance that had both good and bad memories attached to them. Never knew what to do with them until yesterday….of to the gold buyer, sold earrings, bought a bike for a kid in Africa! The amazing thing was it was darn close to exactly 134 bucks I got! Thanks for the opportunity to get some healing for me and a bike for a lucky kid in Africa. @Tree… beautiful way to infuse those memories into something so meaningful… a great step on your path and a major step in the life of one more child in Zambia… Masterfully done!